The Trans-Pacific Partnership is dead. Long live the Trans-Pacific Partnership. That's the boomerang message emanating from the White House, where Larry Kudlow and Robert Lighthizer have been directed by President Trump to explore reentering a heavily-negotiated agreement that Trump abandoned just days into his term. Flashback: Just hours after being named National Economic Advisor, Kudlow told CNBC that the U.S. should consider leading a "a trade coalition of the willing" against China, which really is what TPP was designed to do in the first place. Bottom line: Who really knows at this point? Even if Kudlighthizer manages to convince TPP signatories to reopen negotiations and re-insert provisions that were stripped when the U.S. bailed (such as around IP protections), there is no way to know if Trump wouldn't have another change of heart. Particularly given that restarted TPP talks would almost certainly go past the (admittedly amoebic) start date for new tariffs on Chinese imports. • Over-leveraged: S&P is warning that the U.S. leveraged loan market is overheating, with analyst Paul Draffin telling the FT: "History shows us that the worst debt transactions are done at the best of time." But don't expect this upward trend to change anytime soon. Not only because of rising Fed rates lifting all terms, but also because U.S. regulators recently announced that banks no longer should pay attention to federal leveraged lending guidelines. It's also worth reiterating that relatively few pre-crisis LBOs actually failed, despite some high profile examples, and that the crisis itself was not sparked by risk miscalculation (or misbehavior) in the LBO market. • Realty reality: Zillow yesterday announced that it will become a cash buyer of homes in the Phoenix and Las Vegas markets, and a source says that it expects to hold between 300 and 1,000 residences on its balance sheet by the end of 2018. Why it matters: This is glass half-empty/half-full situation for upstart OpenDoor, which reportedly is raising new funds at a $2 billion valuation. The empty is that Zillow could become a well-capitalized rival, assuming this pilot program proves out. The full is that Zillow is now mimicking a model that it had privately mocked a couple years back. • Script flipped: Reuters reports that Walmart is in advanced talks to buy Indian e-commerce giant Flipkart, just a week or so after it reported that Amazon was circling. The new story suggests that Flipkart thinks an Amazon buy could run into antitrust issues, but also says that Flipkart minority owner SoftBank is unlikely to sell into the Walmart deal, believing the price is too low. • Cryptography: Kia reports that crypto hedge fund Blocktower Capital is raising between $25 million and $30 million for a VC fund, which means it could take traditional equity in startups. 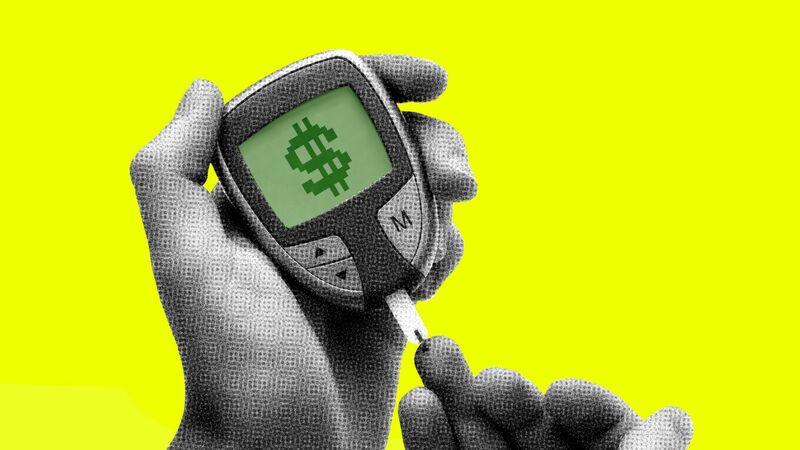 Livongo Health, a Mountain View, Calif.-based digital health startup focused on managing chronic conditions like diabetes and hypertension, raised $105 million in fifth-round funding co-led by return backers General Catalyst and Kinnevik. Why it's the BFD: Because it's big-money validation that the future of chronic disease monitoring will be done via connected mobile devices. Cap table: Echo Health Ventures was the only new money, while other insiders included DFJ, Kleiner Perkins, Merck, Microsoft Ventures, Sapphire Ventures, 7wire Ventures and Zaffre Investments. • Evelyn Dravis has quietly stepped down as a managing director with ICONIQ Capital, where she's worked since 2012, Axios has learned. No word yet on future plans. • David Schwimmer (no, not that one) has been named CEO of the London Stock Exchange. He previously spent two decades with Goldman Sachs.